I am one of those accursed souls whom fate pursues like a bird of prey. Whatever I may be, whatever I may do, whatever I may attempt, whenever I undertake to free myself from its yoke, I find myself entwined again in its merciless strands, which always casts me back into the Hell for which I was born. You, Cécily, were my only reason to live. Losing you, I will die and rid the world of a monster whose soul is now trapped in a body that is not his own! 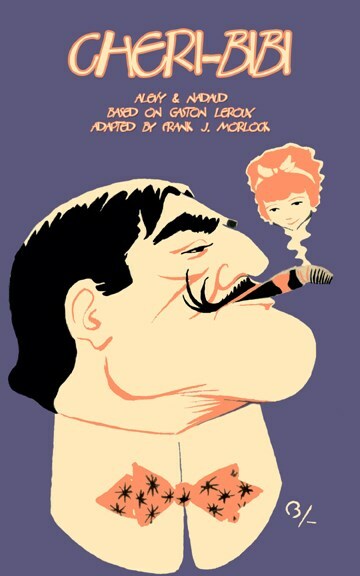 After The Phantom of the Opera and detective Joseph Rouletabille, Chéri-Bibi is the third legendary hero created by one of France's greatest popular novelist and feuilletoniste of La Belle Epoque, Gaston Leroux (1868-1927).